On September 8th, 2018 we will celebrate Elizabeth “Auntie” Stone’s birthday at her cabin. 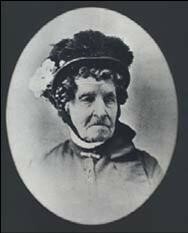 Who is this woman who danced the night away, cooked for her neighbors, and who co-operated the first flour mill? In 1862, Elizabeth Stone and her husband Lewis Stone traveled from Minnesota to Denver, Colorado in a covered wagon pulled by milk cows. 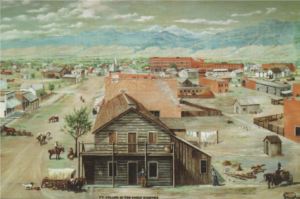 In 1864 they moved to the frontier post that eventually grew into the Fort Collins we know today. 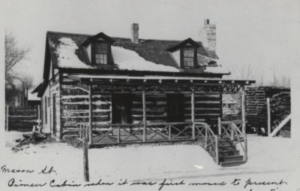 There they built a log cabin to serve as both their private residence and an officers’ mess. In 1867 Auntie converted the officers’ mess into a public hotel. Elizabeth, in her sixties at the time, cooked meals and baked goodies for the officers. Since she was so kind and hospitable, the soldiers of the post came to call her “Auntie” Stone, since she was like family to them. Elizabeth was the first non-native woman to permanently locate in Fort Collins. The community often referred to her as “dear old lady.” She was well-liked, and her cabin served as the first school house in Fort Collins. The Fort of Fort Collins was decommissioned in 1867, but that’s when Elizabeth hit her peak as a businesswoman. 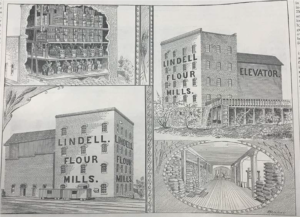 With her business partner Henry Clay Peterson, she started Lindell Mills, the town’s first flour mill. 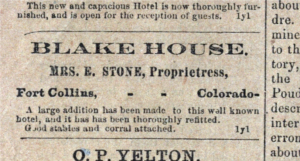 She and Peterson also started and the first brick factory in Fort Collins. She was again in the hotel business. 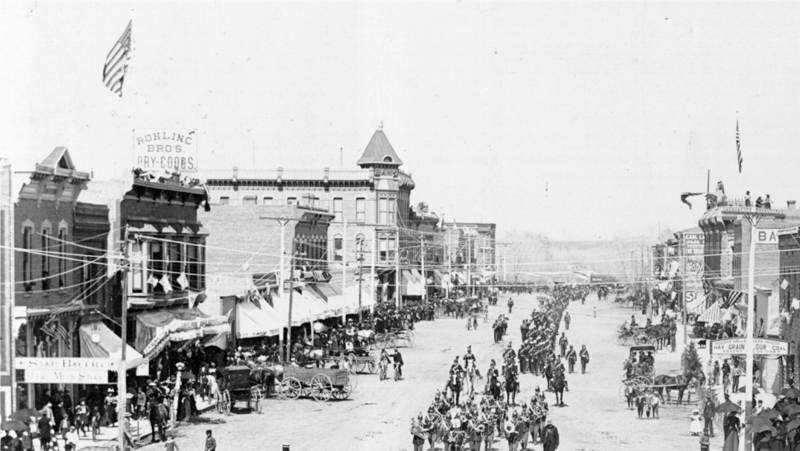 Auntie first ran the Pioneer Hotel out of her cabin, and then bought the Blake House hotel in 1873. She also ran the Cottage House, a small hotel made from bricks from her factory, until age 80, when her daughter Theodosia Van Brunt arrived to take over. Auntie Stone was a woman of energy. In 1882, for her 81st birthday, townspeople and four generations of the Stone family held a dance in her honor at the Masonic Hall. Everyone thought she would tire and turn in early. Instead, she cooked breakfast for everyone the next morning at 5:00 am, without any sleep. When she passed away in 1895, at age 94, the firehouse tower bell tolled 94 times in honor of each year of her life. 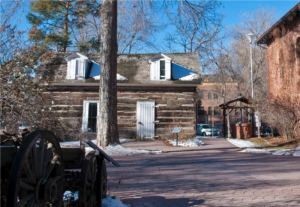 The Auntie Stone cabin is cited as the oldest building in Fort Collins. 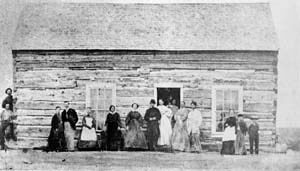 After her death, women’s societies in Fort Collins preserved her home as the first home in Fort Collins. Her cabin has survived three moves—it now sits at the Heritage Courtyard on Mathews Street in Library Park. Auntie Stone was beloved in her own time, and still is today. It is theorized that Elizabeth Street is named in her memory. Auntie Stone Street is also named in her honor. There is a restaurant inside Fort Fun called Auntie Stone’s Kitchen that follows the example of her fabulous hospitality. She’s inspired living history interpreters, educational programs in her cabin, and even an Auntie Stone doll. Auntie Stone influenced the movement for women’s rights, the production of flour, and she transformed the community through her kindness and hospitality. We are excited to celebrate her memory. Let’s keep the party going that Auntie started on her 81st birthday. Ain’t no party like an Auntie Stone party! Join us on September 8th to celebrate Auntie Stone’s 217th birthday in her very own historic cabin. Learn the Virginia Reel dance, decorate your own brick (after all, Auntie Stone owned the first brick kiln in Fort Collins! 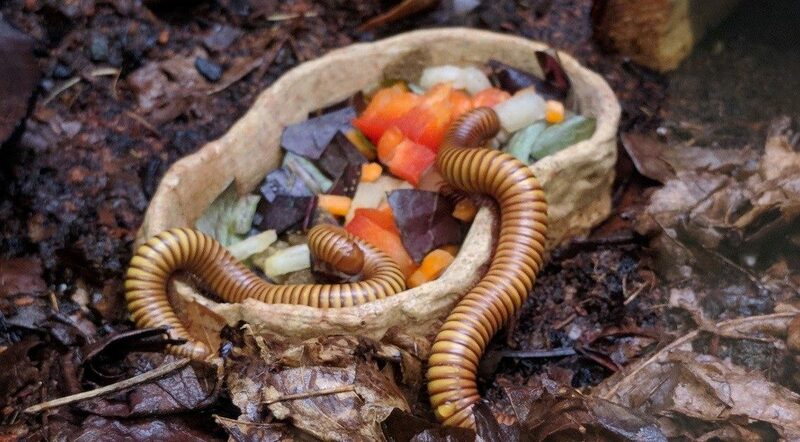 ), and, of course, eat some birthday cake! We’ll have our two other historic cabins and our 1905 schoolhouse open for exploration, too! 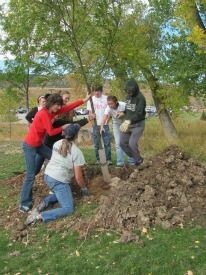 Did you know that Fort Collins is an Arbor Foundation’s Tree City USA? And that we have been a Tree City USA for over 40 years? The Tree City USA program has been greening cities in America since 1976. The Tree City USA program has the potential to positively transform how communities see themselves. The Tree City USA program recognizes cities for basic tree care efforts and activities they are doing to keep their residents safe, increase their community’s livability, and build community spirit. 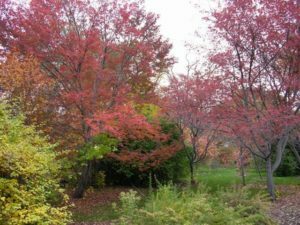 Healthy trees “advertise” a healthy community, and the Tree City USA program helps a community display that it values improving its trees on behalf of its residents. How did we become a Tree City USA? Standard 1 requires that a city have a tree committee or urban forestry department. For many cities, the tree committee is a sub-committee of an existing commission. The formation of a tree board often stems from a group of citizens. Standard one identifies the people, or department, who are responsible for the policies and procedures related to a city’s publicly owned trees, such as those along roadways and in parks. Involving residents and business owners creates wide awareness of what trees do for the community and provides broad support for better tree care. The Forestry staff of Fort Collins maintains more than 40,000 city property trees. Standard 2 requires that a city have a tree care ordinance. No city needs to regulate tree care or tree removal off private property to meet this Standard. The tree board or forestry department has responsibility for public tree care (as reflected in Standard 1). Standard 3 requires a $2 per capita expenditure on tree care and an annual urban forestry plan. This Standard is all about keeping records and being accountable to a cities residents. It is a way of showing how your city proactively manages it trees for the safety of its residents and beauty of the city. This expenditure goal doesn’t need to be a line item in a city’s budget. Volunteer time, contracted services for tree care and removal can also be included, as can the costs of leaf pick up and tree-related software purchase. Standard 4 requires an Arbor Day observation and proclamation. Your city does not have to do this on National Arbor Day, but any time during the calendar year. Citizens join to celebrate the benefits of community trees and the work accomplished to plant and maintain them. Why be a Tree City USA? Tree City USA is a nationwide movement that provides communities with direction, assistance, and national recognition for their community. It doesn’t relate to federal funding for state urban forestry efforts. State foresters are not paid by the Arbor Day Foundation to administer the program, but we do so because we see a lot of value in the simple urban forestry framework the Tree City USA program provides. 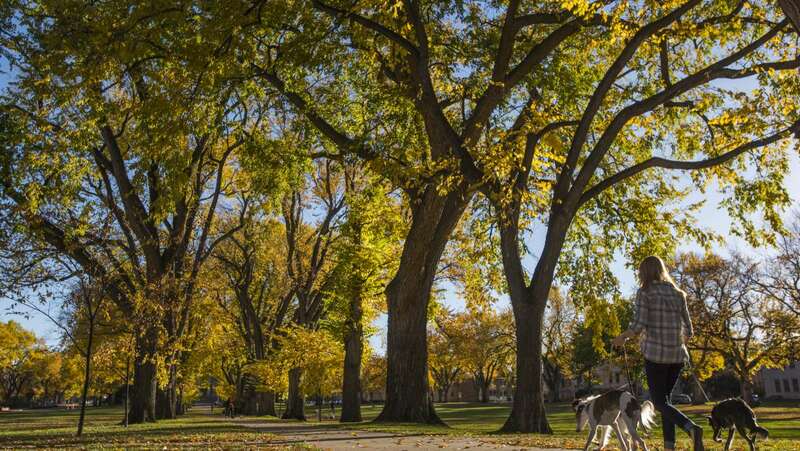 Fort Collins is proud to have been a Tree City USA for over 40 years. Adding to Fort Collins as Tree City USA is the CSU Arboretum. 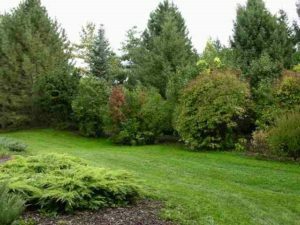 The arboretum at CSU has the largest collections of woody plants in Fort Collins with over 1,100 different taxa represented. In 2017, 79 different woody plants were donated from 8 different nurseries arboreta, USDA, and other state experiment stations. 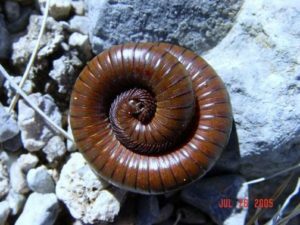 Most plants are labeled with scientific and common names listed on it. In the southeast corner of the arboretum, a Plant Select® demonstration garden is planted. In this planting current and future woody and herbaceous Plant Select® endorsements, introductions or original plants are planted. Plant Select® is a joint plant introduction program between Colorado State University, Denver Botanic Gardens and the Green Industry of Colorado. 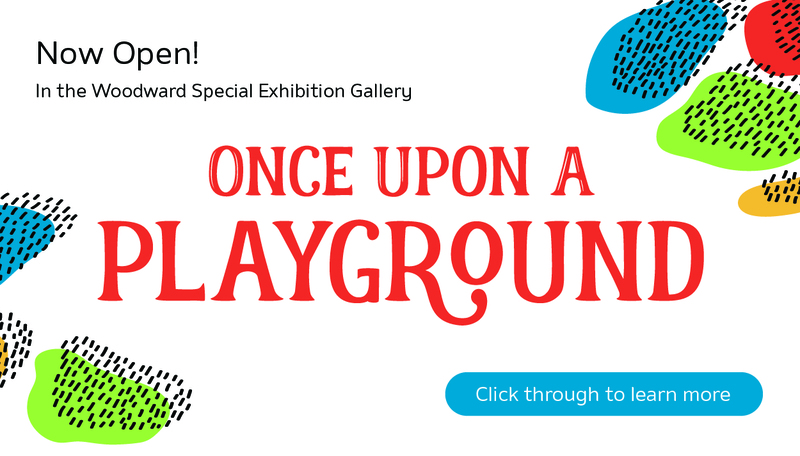 Celebrate Fort Collins being Tree City USA at the museum! Join us for Museum Takeover: Tremendous Trees on September 15th.